In 2018, China's machine tool industry is running smoothly, the Main Economic Indicators are optimistic, the market demand maintains a certain growth rate and the enterprise's business situation has been improved. According to the statistics data of the Bureau, machine tool industry grow faster than the average level of machinery industry this year, especially the profit growth is relatively higher. From January to September 2018, the machinery industry revenue growth has increased 8.15 % while the machine tool industry has increased 11.03 %. However, machinery industry profit growth has increased only 2.85 % while the machine tool industry has increased 15.19 %. This refers to sub-industries like forming machine tools, bamboo and wood machinery, other dedicated devices, functional components and abrasive and grinding tools. Nevertheless, based on the main income profit margin, there seem to be serious differences among the machine tool sub-industry. For example, the profit margin in cutting tools, bamboo machinery and other special equipment and functional components is higher, while the profit margin of the metalworking machine tool industry is only 4.92 % with a relatively high profit growth. In fact, this profit margin is the lowest among the whole sub-industry. This shows that the machine tool industry, mainly general purpose machine tools, is struggling hard. Concerning the import and export trade, the machine tool industry has a relatively large deficit. In 2017, the deficit of the machine tool industry was $ 3.47 billion and the metalworking machine tools deficit was as high as $ 5.5 billion, including $ 2.16 billion deficit of CNC machine tools and $ 3.24 billion deficit of machining center. It reveals that the overall competitiveness of high-end machine tools is weak. Undoubtedly, the machine tool industry, as an important symbol of modern scientific and technological innovation and as a measurement of a country's industrial automation level, has become the focus of high attention and competition in the world. In particular, it looks like a scientific and industrial revolution could emerge, which is mainly characterized by the rise in intelligent manufacturing. 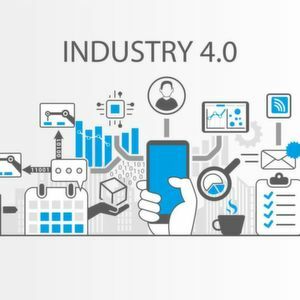 In order to adapt to changes in demand, machine tool industry should primarily focus on the supply side by providing product technology and service mode. This way the customers' new requirements are met and a new impetus through transformation and adjustment is obtained. Exhibitions like the first China International Import Expo (CIIE), China National Machine Tool Sales and Technical Service Corporation (CNMTC) present high-precision products from all fields of the world's equipment manufacturing industry. 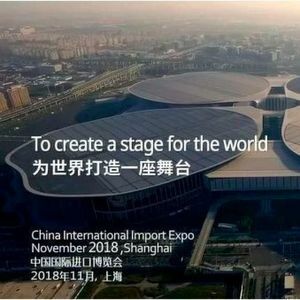 The first CIIE, held in Shanghai on November 5-10, 2018, was an open cooperation platform for all countries in the world to showcase their national development achievements and develop international trade. This embodies China's ambition to open up to a higher level and presents to the world China's plan to build a human community. It also advocates the "Belt and Road" project and promotes new international relations and the realization of win-win cooperation. Industrial sensors are making news!